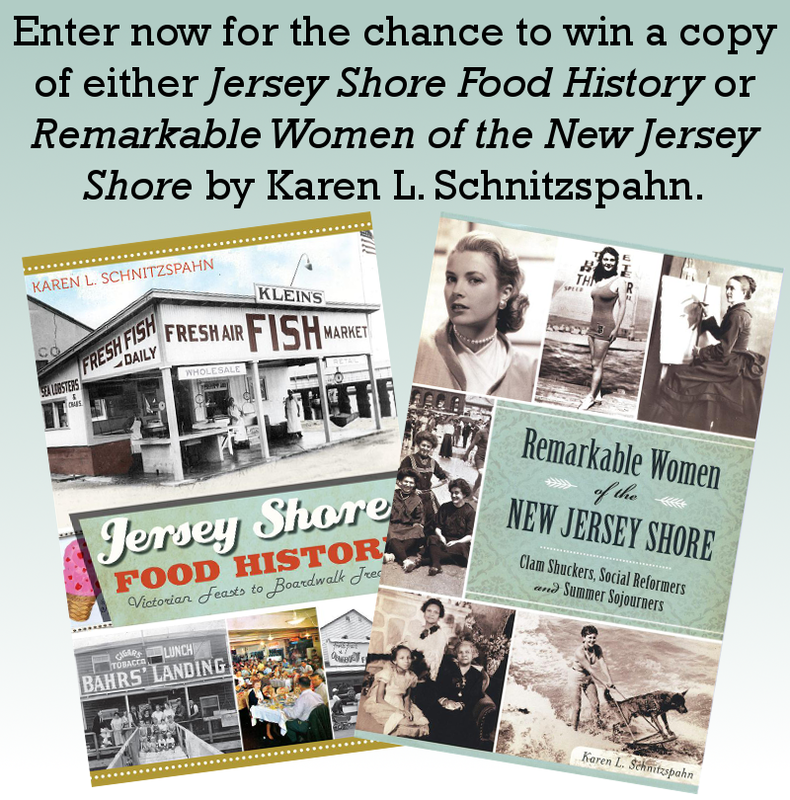 "Jersey Shore Food History" and "Remarkable Women of the New Jersey Shore" August Book Giveaway ~ The History Girl! Thanks to author Karen L. Schnitzspahn, The History Girl is offering either one signed copy of her book Jersey Shore Food History or one signed copy of Remarkable Women of the New Jersey Shore to two individuals. In order to be in the running, submit your name and e-mail address below! This contest has ended. Thanks for all who participated! Purchase a copy of Jersey Shore Food History here and Remarkable Women of the New Jersey Shore here. *One entry per person. *Valid for all residents of the 50 United States of America, 13 years of age or older. *Entries without a valid e-mail address are not eligible. *Contest begins August 9, 2015 at 6:00 pm EST and ends August 15, 2015 at 8:00 pm EST. *The winners will be chosen at random. *The winners will be notified via e-mail on August 15, 2015 after 8:00 pm. The winners must respond with a mailing address within thirty-six (36) hours or another winner will be chosen.